New low-calorie cocktails, which use artificial sweeteners or sugar-free syrups, are bound to gain importance. Even as you enjoy your tipple, beverage developers are constantly working behind the scenes to understand what works with patrons. They later adapt new practices to suit tastes and drinking methods. A large part of gauging these trends is to keep a watchful eye on cocktails that are a rage in the market currently. These developers say that along with classics , cocktails with simpler ingredients continue to gain popularity. Besides herbs, berries in drinks are gaining more prominence now. Let’s talk about the flavour of the season, though — spices. Spice-based drinks that have become popular have been a few years in the making; and this trend is not going away any time soon. Spices create a specific and unique taste and hence have become a mainstay in alcoholic beverages, besides tea and coffee. Commonly used spices in drinks are cardamom, hot pepper, cinnamon and ginger. These four ingredients could be used in extracts — or in case of ginger, even as juice. Ginger and hot pepper are popular for their bitter character, while cinnamon and cardamom are usually infused in drinks for the delicate sweet and spicy effect. Spices not only give that extraordinary taste, but also exude warmth. So, there’s nothing better than a spiced drink on a cold winter day. Don’t be scared to infuse spices into whiskey, vodka, rum or wine, because it will definitely elevate your drink. Take, for example, the Floating Star Martini. The drink can be made from bourbon whiskey, apple cider, pomegranate liqueur, lime and clove. To make the garnish, you can slice thinly across the apple to reveal the star-shaped centre. Place this apple in a bowl of ice water and juice from half a lime. This will preserve the white of the apple. Combine the other ingredients into a shaker, and serve it in a martini glass. The spicy flavour will be the star of your drink. Herbs, on the other hand, are used for their distinctive properties, as well as aromatic effects. Basil was the star of this year, with its slight anise flavour. It makes for a great addition to spirits such as vodka, rum and gin. Not just that, it also fits well with cocktails with lime juice, pomelo, and strawberry flavourings. 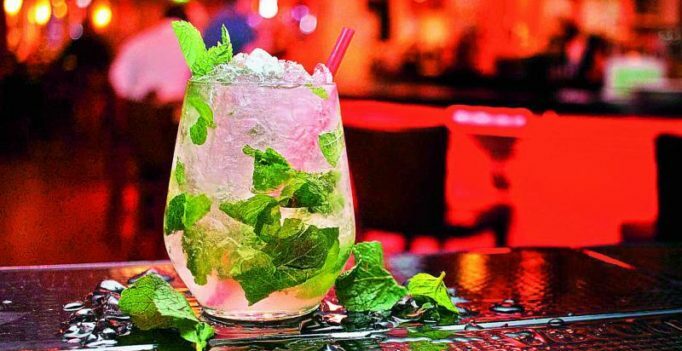 Finally, reducing calories in spirit cocktails could open up new ways to help people control their weight. New low-calorie cocktails, which use artificial sweeteners or sugar-free syrups, are bound to gain importance. In order to make them healthier cocktails, these drinks are diluted with carbonated water or fruit and vegetable juices, instead of soda. Unsurprisingly, berry based mixes are a staunch favourite to make these wholesome drinks. So, if you’re keen on sticking to your New Year’s resolution to stay fit, you might want to ensure you stick to these healthier cocktails!